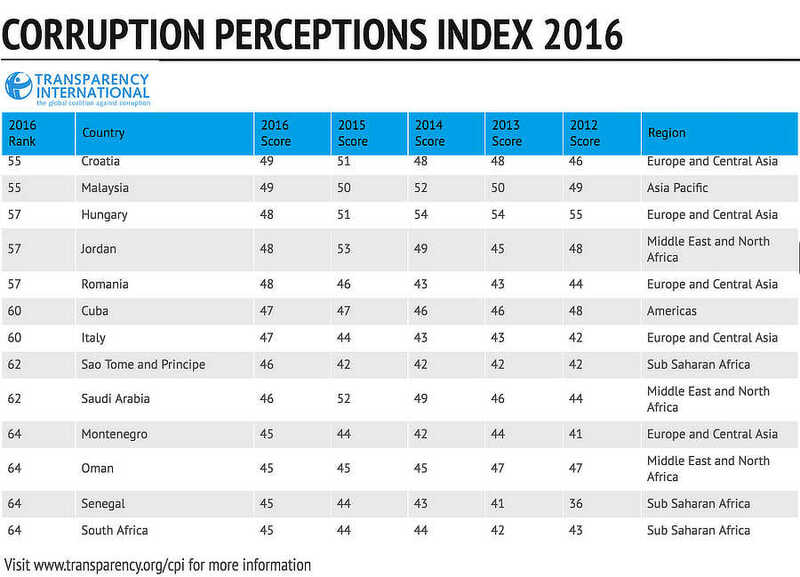 Transparency International’s Corruption Perception Index 2016 is out. Italy is one place higher than it was in 2015. It was in 61st place and in the 2016 CPI, Italy is in 60th place. This means Italy is the third most corrupt European Union member nation. The two EU nations that are an even more corrupt than Italy are Greece and Bulgaria. On the face of it, it looks as Italy is as corrupt as ever despite having had an anti corruption government agency since late 2014. However, the scoring system used by Transparency International reveals that modest progress is being made. 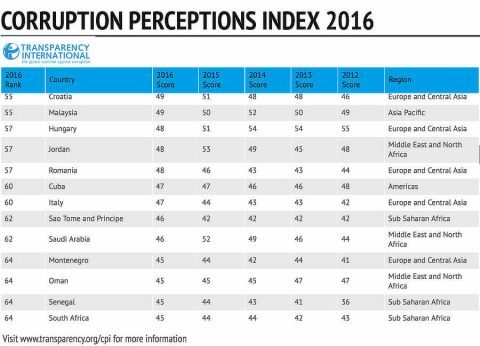 If you look at the score Transparency International bases its corruption perception index on, you’ll note that Italy’s score is, slowly rising. The higher the score, the lower the level of perceived corruption. In 2012, Italy’s score was 42. This rose to 43 in 2013 and 2014, and then increased once more to 44 in 2015. In 2016, Italy’s score reached 47 – a three point rise. This is a sign, albeit a rather weak one, that Italy is beginning to make some headway in its attempts to combat this age-old problem. The trend shown in Transparency International’s reports may help attract foreign direct investment. 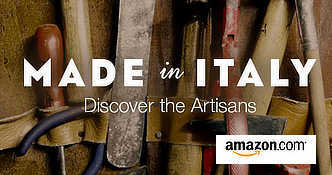 In turn, this should generate jobs and more tax income for Italy’s government. 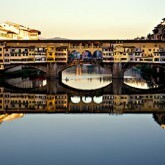 Italy could do more t0 make herself appetising to foreign investment, or even Italian investors. The nation’s justice system needs attention and Italy’s propensity for red tape also needs tackling. In view of Italy’s still fragile economic recovery, now would be a good time to act. As mentioned in a recent article, there are also two reforms that could help beat corruption in Italy. If Italy were to implement them, then in next year’s Transparency International’s Corruption Perception Index, Italy’s score may rise above 50, even even higher. 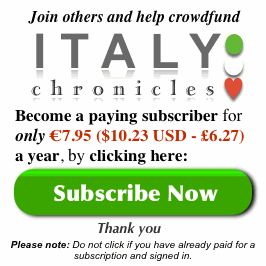 The main obstacle to fighting corruption in Italy is that of political will. Only one political movement appears to be determined to work to battle corruption and it is not in power, yet. I have friends from Romania and they say that it is very common for a patient to give bribes to nurses and doctors working in hospitals in order to receive the due care. They also say that the same “procedure” takes place when a policeman stop you. According to the mentioned report Italy’s corruption is worst than Romania and so each of us should have experienced even more dreadful scenarios. In fairness, would you suggest to a british tourist visiting Italy to prepare an envelope with hundreds of euro inside in case he ends up in a hospital or get stopped by a patrol of Carabinieri or Polizia ? Corruption in Italy thrives but we have to put things into the right perspective. This is a perceived corruption index. Totally different are the results if a direct question is put to the people living in the Country object of the investigation: have you ever witnessed corruption in the last 12 months? The answer for Italy is not at 90% (95% regarding past experiences in the health care sector) !! 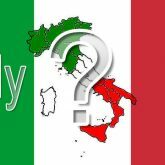 Corruption is an issue quite difficult to assess and the fact that this annual report regularly describes Italy as a rotten country reinforce the narrative of Italy as a Nation that should not be ruled by italians. Maybe this is why we have had Monti, Letta & Co, all politicians put into office by foreign powers in order to serve foreign interests……. That’s funny. If you don’t see corruption in the street doesn’t mean corruption doesn’t exists and that, for instance, doesn’t certainly prove that corruption could not lie on higher levels of society and politics and that’s exactly what happens in Italy. But I would also say that that is not completely true: it still heavily exists and it’s pretty evident even in much lower and more visible substrata, take for instance what happens everyday in regions like Campania, Calabria, or Sicily. The problem is that people just can’t see it anymore or maybe they never did. It’s not rare in Italy to speak to people that would consider normal some unethical and morally corrupted behaviors that in other countries wouldn’t be considered normal at all; they just don’t know any better, I suppose. I would also say, those standards might change from the south to the north but nobody seems really safe from it nowadays, see the people of Lega or Berlusconi voters. If I were you, my question would probably be: are Italians really capable nowadays to discern real corruption? And just how much the social-political scenario has been changed and distorted from years and years of ‘malaffare’ to a level that now a vast majority of people just accepts things that in other countries would just be simply considered unacceptable. Look at many people’s view regarding Berlusconi only few years ago (and later all of them who came after him) as something pretty normal and just ok.
Do you really think the perception of those 90% of people has a real significance at this point? The funny fact is that we were corrupted also during the so called “miracolo economico”, when in a few years we were able to rebuild the country after the WWII and become one of the most industrialized country in the world. We were also corrupted during the 80’s when it was usual to have a 3% GDP growth every year. Now we are experiencing the worst economic crisis since Italy was unified because of the insane decision to join the euro. Italy is now a colonized country that has to obey the economic diktats coming from other European countries that have all the interest to see our prosperity destroyed. They use the usual racist argument that we are lazy, corrupted and unreliable and so it makes sense that someone else can decide for us. The public debt (in Japan is 240%) is a measure of all our anthropological faults. Funny enough our public debt, when we joined the euro, was about 105% and with a tendency to decrease, and our unemployment half of that one present in Germany. After having joined the euro, followed as diligent students the impositions coming from virtuous countries and put into action the most drastic measures to reduce public expenses our public debt is 134%, the Italian economy collapsed and our unemployment rate double of that one present in Germany. 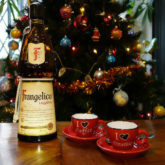 So, what to say to the italian father saying goodbye to his son with an university degree going to London to work as a waiter in a restaurant? Mario, this is happening because you are a bunch of corrupted people….